Hollow sections are available in both square and rectangular sections. Stock bars are 7.5m and can be cut to specific lengths. Available in various sizes in both rectangular and square sections and a range of thicknesses. For prices and sizes available, give us a call or fill in a request a quote form. 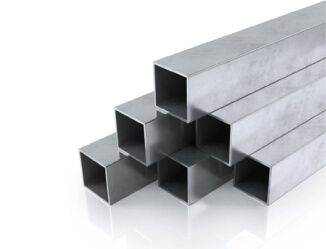 Square hollow sections are often used in welded steel frames to alleviate loads that are exerting pressure in multiple directions. Due to the fact that they also have excellent resistance to torsion, these sections are perfect for creating columns.